Do you perform SEO for your website, but can’t achieve any positive results? Do you have more links than your competitors, but still rank worse than they do? Did you have good rankings but they dropped after Google Penguin or Panda Update? Then your website could have received one of Google penalties (Panda, Penguin, Over-Optimization) because your link profile did not look natural or because your website content is not unique. If you build links only with specific anchor text, then it is obvious for Google that you try to manipulate rankings. We talked with people who claimed that they use various anchor texts in their link building campaign, but when they actually did a deep analysis, they realized, that even though they had links with 100 different anchor texts, 95% of the links were targeted to only 2-3 keywords. This also doesn’t correspond to Natural Anchor Text Distribution and can result in Google Penguin Penalty. Using our Free SEO Cost Calculator you can find out whether or not your website has an anchor text over-optimization penalty (i.e. Google Penguin Penalty), and how many links with other anchor texts you need to build in order to get rid of the penalty. It is obvious that when you get hundreds of new backlinks without a proper reason, it may look unnatural. The links should be built gradually. 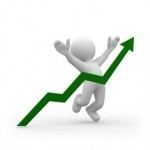 Start building links with 5-10 links per week and then slowly increase this number. The best scenario is to combine your link building campaign with advertising campaign. In this case you get the traffic increase from advertising, which explains the reason why you also start to get new backlinks, referring to your domain. Use our Gradual Link Purchase Cart to schedule natural link building speed for your website. Google did a great job and decreased the number of websites with duplicated content on the 1st page of its search results. So don’t be surprised that you don’t rank well if you borrow the content. Your articles should be unique. Use either this free content duplicate checker tool or copyscape to find and get rid of all the duplicate content. Your content should be written for people to keep them on the website, otherwise high bounce rate may have a negative effect on your rankings. This is the main method of Panda recovery: get rid of all the duplicated or useless content or close it from indexing, using a robots.txt file. Site-wide links, which are pointing to your website from every webpage of a referring domain, may also interfere your rankings on Google. That’s why it is recommended to have not more than 10% of site-wide links in your backlink profile. If you already have plenty of them, start removing them slowly and replacing them with not site-wide links. We’ve listed above only the most common reasons of over optimization. To make your backlink campaign even more natural, make sure that you follow every rule, described in our 21 Steps to Improve Your Rankings on Google. P.S. 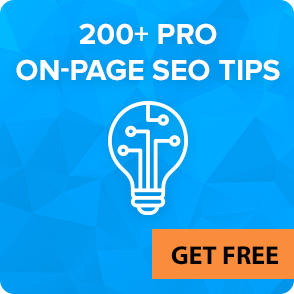 And make sure to find out whether or not your website has an anchor text over-optimization penalty, and how many links you need to outrank your competitors using our Free SEO Cost Calculator.